Medications – If you take any medication routinely, please be sure to have it available for you during your trip. Moisturizing Eye Drops – Keep in mind that you will be in the world’s driest desert and your eyes may dry up more than usual. If you normally utilize contacts, you might want to bring along a pair of glasses as well, for your comfort. Clothing – No matter the time of year, you’ll want to have clothes for both warm and cool weather, as the temperature changes dramatically between night and day. Summer clothing for the day: Short sleeve t- shirts, shorts, bathing suit. Winter clothing for the night: Sweater, long sleeve t-shirts, jacket, fleece, long trousers (pants). 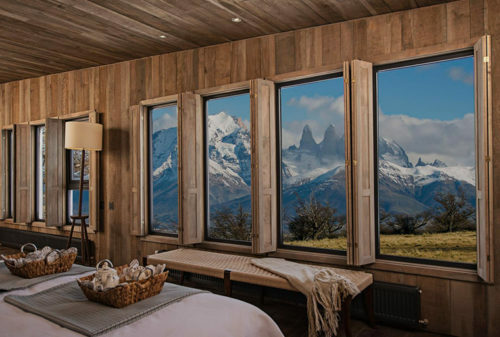 AWASI PATAGONIA – 14 individual villas set alongside a Main Lodge, situated in a private reserve on the edge of Torres del Paine National Park. 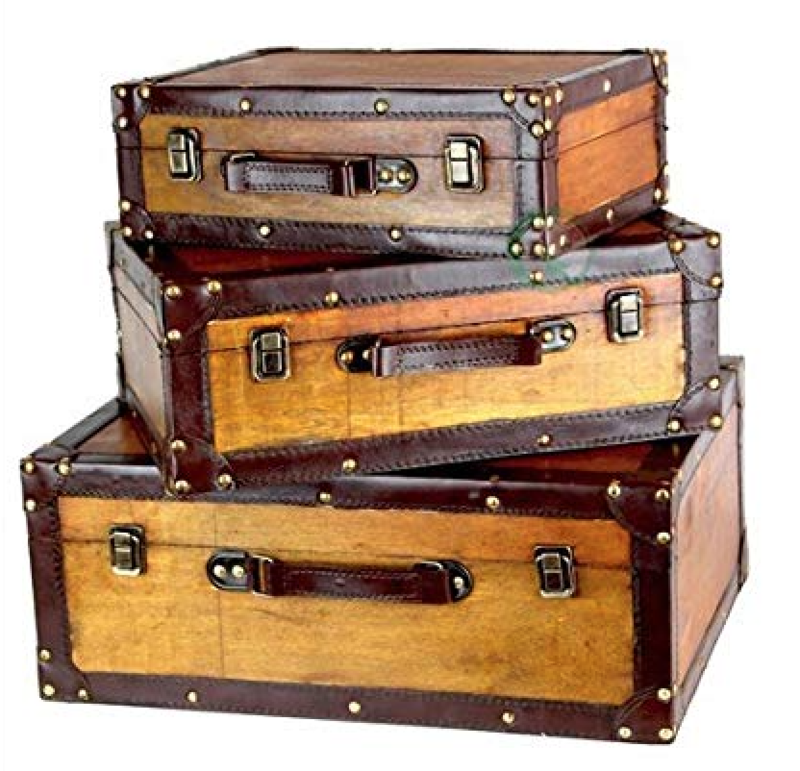 Essentials – Please keep in mind that our Lodge is two hours from the nearest city, so be sure to bring any personal items you feel are necessary (medicines, cosmetics, etc.). Also, the closest ATM is in Puerto Natales. 3rd layer (exterior to insulate the body): jackets (e.g. waterproof & wind-breakers) and breathable, water-repellent pants. 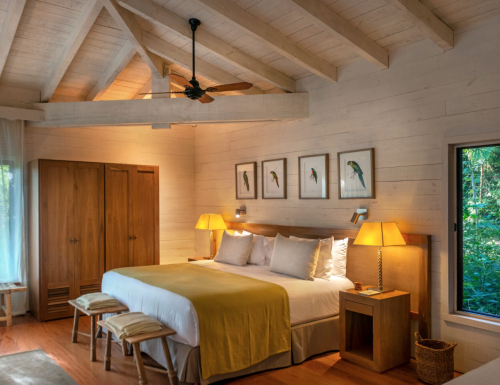 AWASI IGUAZU – 14 stand-alone villas nestled in the Atlantic Rainforest in Northern Argentina, just 20 minutes from the famous Iguazu Falls. Clothing – The Atlantic Rainforest is known for its hot and humid weather, that can sometimes be interrupted by short, copious showers. Be prepared for those changing weather conditions by dressing lightly, in breathable clothing that can get wet. While dressing in short-sleeved clothing might be tempting because of the high temperatures, long sleeves and closed-toed shoes are always preferred while in the jungle to avoid insect bites, sunburns and scratches. NOTE: We will provide rubber wading boots and gaiters for certain excursions. Our three lodges are all part of the Relais & Chateaux collection. 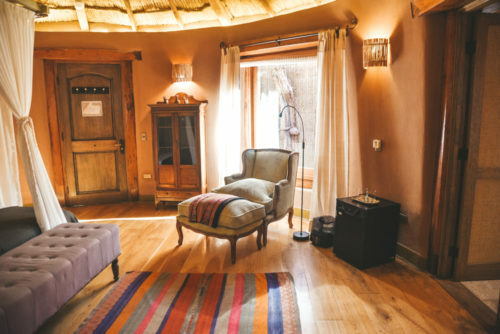 Each room at all 3 Awasi hotels comes with a dedicated private guide and 4WD vehicle.